There are many web crawlers (aka spiders) which scan your website multiple times per day, consuming bandwidth and slowing down your server. They can be spying tools like SEMRush, Majestic and Ahrefs or they can be malicious spamming bots. Spider Blocker will block the most common ones and allow you to manually add your own. It will accomplish this by using Apache .htaccess file to minimize impact on your website. 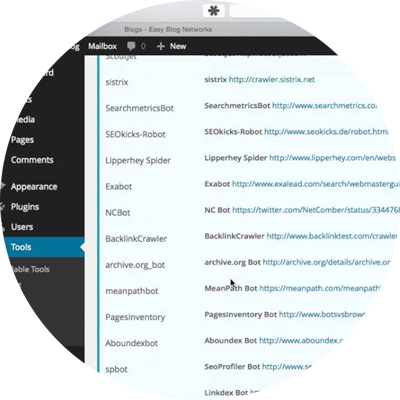 Spider Blocker leaves no footprint on your WordPress blog. The plugin is open source and completely free. It can be downloaded directly from WordPress.org . If you're in a highly competitive niche, competitors will spy on your website, review your backlinks and use it against you. They can try to replicate your backlinks or even report your blog network and links to the Spam Team. 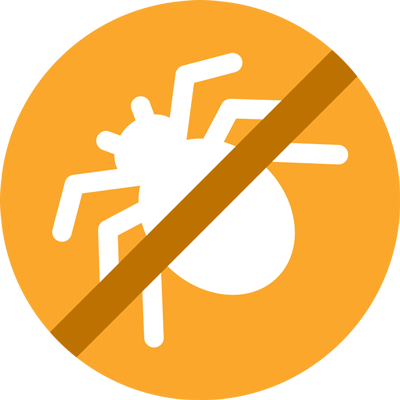 Spider Blocker only works with Apache server and mod_rewrite enabled. Some users receive "fatal error" when activating the plugin. This is most commonly caused by outdated PHP. Make sure your server is running PHP 5.4+ and Apache 2.4+. This help article was brought to you by Easy Blog Networks, the first specialized solution for hosting and automating your PBN.